When I enter the Amazon Prime Video India office in Mumbai, it feels like I have stepped into the world of Made in Heaven. There is a sense of order and mystique in the swanky, maze-like interiors. The security is tight, monitoring each moment and every step that I take. But when I enter the room where I am supposed to interview Shivani Raghuvanshi, I find the normalcy I had been seeking. I see Jazz chatting with friends who she seems to be catching up with after a long time. Back from the shoot of her next, casting director-producer Honey Trehan's directorial debut Raat Akeli Hai, in Lucknow, Shivani has only started watching Made in Heaven a day before. She admits she is critical of her performance but the flood of DMs on Instagram and demands of a Jazz spin-off have made her more at ease with herself. As she begins to talk, and continues for quite a while ("Sorry, I talk a lot! ), I try to pick out traits that are dissimilar from those of Jazz. While Shivani surprises me with how much of Jazz she holds within her, she also ensures that I get to know her beyond her affable, deeply rooted character. "I think Jazz is very relatable. When I first read the script, I felt for her. You need not be from her background to what kind of girl she is. Anyone who is from a humble background and aspires to dream big, that person can relate to Jazz," says Shivani. She admits that like she is similar to Jazz not in terms of where they come from but how they deal with what is thrown at them. "A lot of people told me that they like how Jazz tries to fit into the milieu of rich, high class society through her new job. But I don't look at her that way. She remains deeply rooted throughout the show. When I moved to Mumbai from my hometown Delhi to become an actor, I experienced a culture shock in almost every thing. But that didn't make me change myself so that I could fit in. A lot of senior actors like Ranvir Shorey (her Titli co-star) and Konkona Sen Sharma told me, 'You wait for a year or two and then see how you change'. But it's been three years and I'm still the same person. My roots are my strength. I can't grow in their absence. I always go back to them whenever I have to make a choice," says Shivani. She also points out what remains strictly on paper when it comes to Jazz. "Those flashy clothes. Yuck! Eww! Those are definitely not me. In this show, and even in Titli, the team was just figuring out ways to make me look poorer and uglier. Haha! They even used a darker shade for my make-up but it came across fine in the arclights. But mujhe khoobsurat lagne do yaar." Shivani recalls how being approached for a Yash Raj film as her debut transported her to cloud nine, only to later learn that it was for a dark film like Titli. "I was hurt. I wanted to be a Hindi film heroine. And here I was playing this poor girl. My idea of poverty was Anjali (Kajol's character) from Kabhi Khushi Kabhie Gham. That's the lowest I knew. Itna toh banta hai yaar!" Jazz can be described as the sister Anjali and Pooja/Poo (Kareena Kapoor Khan's character) never had in Kabhi Khushi Kabhie Gham. "Haha! Yes, that's nice. Jazz has the Punjabi transparency of Kajol and the ooh-ooh-ness of Poo. I like this idea," she says, in an approving tone. 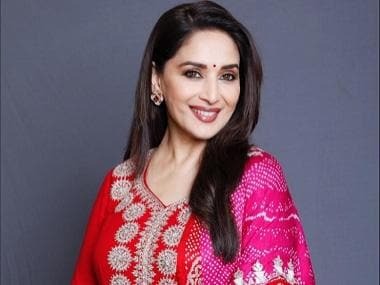 Interestingly, stars like Kareena and Kajol were her only windows to the world of Bollywood since she was only allowed to watch that one big film of the year. "I come from that middle-class family where even TV was banned. And if any of my siblings had their exams, fir toh cable bhi gaya! So we, the entire family, just watched that one big film every year." She was enamoured by Sanjay Leela Bhansali's 2002 period romance Devdas and the Bollywood bug bit her that day. She decided, like every aspiring actress, that she wanted to be a Sanjay Leela Bhansali heroine. However, she is aware that her journey will not be as easy as Alia Bhatt, who auditioned for Black when she was nine and will now star opposite Salman Khan in Bhansali's romantic drama Inshallah. "I know it will take time. But I'm ready for it. I'm aware there are prettier, more talented heroines out there. And let's face it: Bollywood loves to cast pretty ladies. But I think I'll find my space. Shakun Batra told me that I have one leg inside the industry and the other remains outside. So I'm still figuring out my space but I'm clear where I want to be. I want to be the biggest of them all. I want to be Shah Rukh Khan," she says, before warning me that her ambitions are rather immodest. Shivani aspires to work with the directors who have shaped her childhood. "Imtiaz Ali definitely tops the list. He has that quality as a filmmaker to bring out the innocence in his lead characters. He can show them as what they were before they got corrupted." She also feels her Made in Heaven co-director Zoya Akhtar depicts social corruption with great insight, irrespective of the demographic she bases her story on. "When my mom and I watched Dil Dhadakne Do, she pointed out how the Mehras were so similar to our families. So I think this corruption exists everywhere." She emerged as the antidote to this social corruption in Made in Heaven as Jazz remained immune to the issues that the rich faced when they lose contact with their origins. In fact, she served as the emotional anchor of the show in the first three episodes when the show needed one the most. After all, emotions had to find a place in a show essentially about weddings. "I think there's always a tendency to over-analyse a situation. But in the midst of all the plotting and planning, there's often a very clear way out. But all the people in Jazz's office can't see it because they assume that the solution to such a 'big' problem can't be so easy. But Jazz, having the idealism of a young, simple girl, is able to point out those easy solutions. 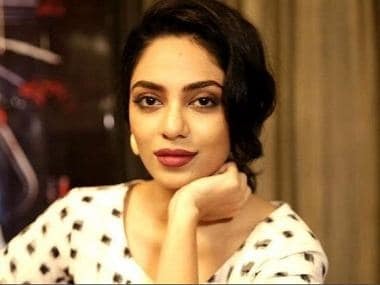 Even Tara (Sobhita Dhulipala's character) is from that background. But she can't think how Jazz does." Like Jazz, banking on her emotions to get the job done has also been Shivani's modus operandi. "Though I was hurt I couldn't be a Hindi film heroine in my first film, Titli was essentially my theater school. Because of that experience, I can't do a single scene without feeling it. It's becoming increasingly difficult to do the heroine stuff now," says Shivani, adding "To be very honest, innocent is the only way I know. Nothing has changed on that front." What has changed is her desire to be a Sanjay Leela Bhansali heroine. "I doubt if I can work with him. I blink a lot. He'll break my head if I blink in the close-up," she says, invoking all that Jazz within her.